Despite unsubstantiated claims of best practice, the division of language-teaching professionals on the basis of their categorization as ‘native-speakers’ or ‘non-native speakers’ continues to cascade throughout the academic literature. It has become normative, under the rhetorical guise of acting to correct prejudice and/or discrimination, to see native-speakerism as having a single beneficiary – the ‘native-speaker’ – and a single victim – the ‘non-native’ speaker. However, this unidirectional perspective fails to deal with the more veiled systems through which those labeled as native-speakers and non-native speakers are both cast as casualties of this questionable bifurcation. This volume documents such complexities and aims to fill the void currently observable within mainstream academic literature in the teaching of both English, and Japanese, foreign language education. By identifying how the construct of Japanese native-speaker mirrors that of the ‘native-speaker’ of English, the volume presents a revealing insight into language teaching in Japan. 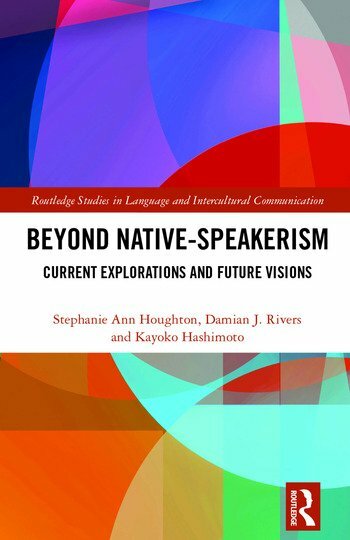 Further, taking a problem-solving approach, this volume explores possible grounds on which language teachers could be employed if native-speakerism is rejected according to experts in the fields of intercultural communicative competence, English as a Lingua Franca and World Englishes, all of which aim to replace the ‘native-speaker’ model with something new. 7 Japanese Language Teachers’ Views on Native Speakers and "Easy Japanese"
Stephanie Ann Houghton is an Associate Professor in Intercultural Communication at Saga University in Japan. She is co-editor, with Melina Porto, of the 'Intercultural Communication and Language Education' book series. She has published multiple academic books and articles in peer-reviewed international journals. Damian J. Rivers is an Associate Professor in Communication at Future University Hakodate, Japan. He has co-edited several books including, ‘Isms in Language Education: Oppression, Intersectionality and Emancipation’ (2017) and ‘The Sociolinguistics of Hip-Hop as Critical Conscience: Dissatisfaction and Dissent’ (2017). Kayoko Hashimoto is a Lecturer at the School of Languages and Cultures, The University of Queensland in Australia. Her main research areas are language policies and Japan’s educational policies. She currently serves as the Language and Education Thematic/Review editor for Asian Studies Review.